Notes and Nerds: Join Our Writing Staff! Notes and Nerds wants a writing staff, and now is the time for you to join us! We can't pay you, because...well, we don't have any money. However, what we can offer is fame and glory with the written word! So, what exactly are we looking for? 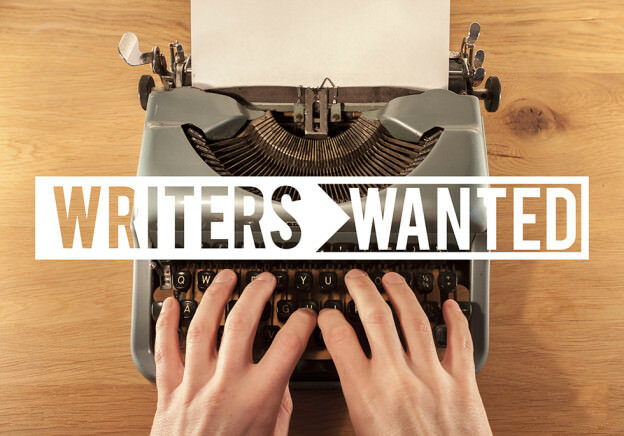 We need writers that are passionate about the following things. Seriously, we need people that are willing to write up articles for our website. What we expect of a writer for articles is attention to detail. You must fact check your sources. We don't care for "rumors", but if the information is viable, then we run with it. A candidate also must be good with capturing thought into words. One must use images in their articles, as well. How many articles each week? Well, we'd like to see as many as one can spew forth. No, seriously. If you can write up an article a day, or more; that is great! So, you will get noticed. So, if you aren't getting paid, what is the real benefit? How about convention coverages? We are always needing team members to assist with cons. We produce videos, on top of the coverage we provide on a daily basis of all things noteworthy, and nerdy. With this coverage, we are always needing help with monitoring our booths, assisting with the a/v equipment, and more. And we go to cons for free. So yeah. Press Passes are great! Email Eric@NotesandNerds.com with your resume/request. Also, include a sample article to demonstrate your skills.